Happy Birthday to my sister and this postcard is from her! She visited here in 2008 on a photography field trip. 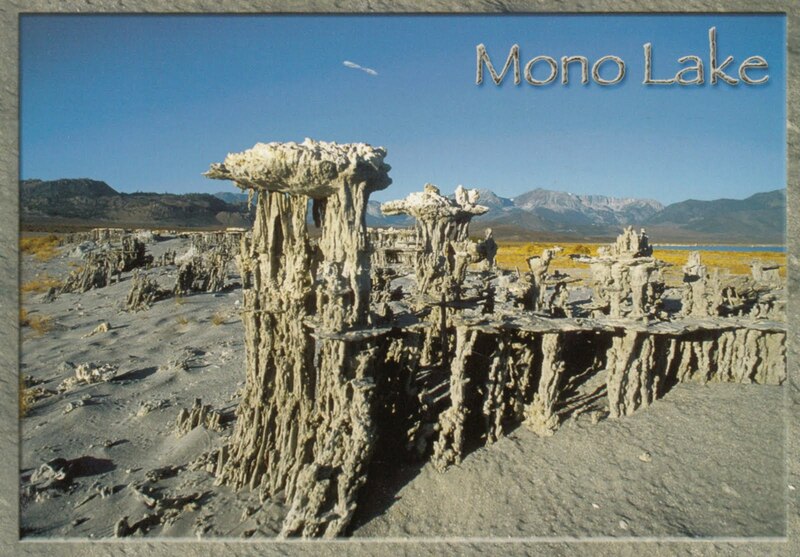 The crazy rock formations are called tufa towers, they are made of limestone.